Iatrogenic neurologic deficits after lumbar spine surgery are rare complications, but important to recognize and manage. Complications such as radiculopathy, spinal cord compression, motor deficits (i.e. foot drop with L5 radiculopathy), and new onset radiculitis, while uncommon do occur. Attempts at mitigating these complications with the use of neuromonitoring have been successful. Guidance in the literature as to the true rate of iatrogenic neurologic deficit is limited to several case studies and retrospective designed studies describing the management, prevention and treatment of these deficits. 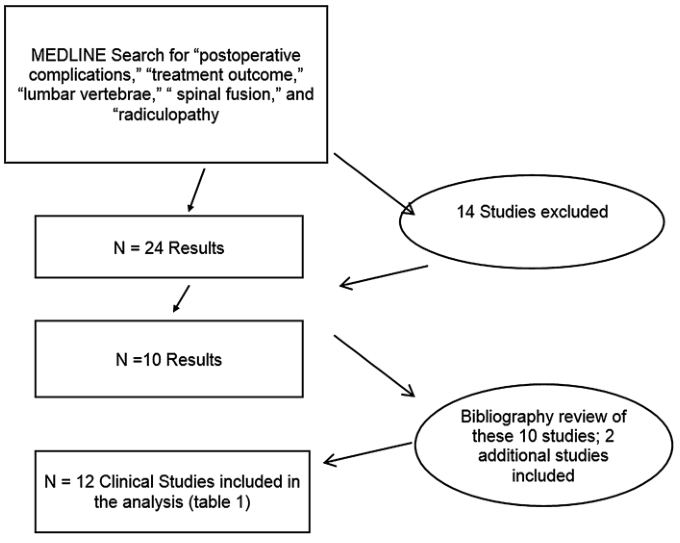 The authors review the lumbar spinal surgery literature to examine the incidence of iatrogenic neurologic deficit in the lumbar spinal surgery literature.